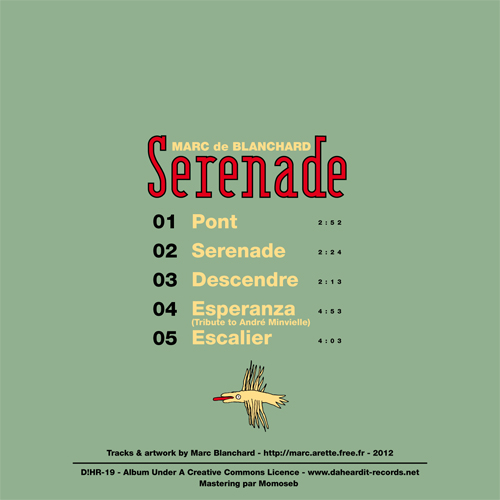 With this EP, hybrid musician Marc de Blanchard offers the listener a sound journey between field, computer, and chamber music. 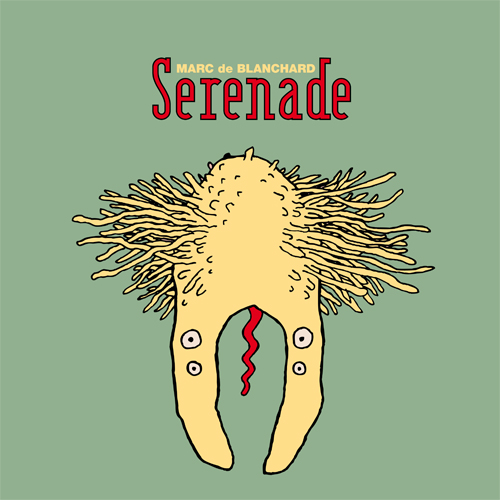 Sérénade is a cinematic EP marked with magic and levity, yet nostalgic and robotic at the same time. Music boxes and cracking sounds go face-to-face, finally creating an enchanting and catchy melody. Throughout the pieces, Sérénade reminds us of the mechanical and electronic carousels, the fun fair and its lights, the forest and its fauna. And Marc de Blanchard achieves his bet to thrust us into an all-new universe of monsters, electricity, and bird songs. After Astroboiler, and Vengeance, this 19th release fits itself into a will for eclecticism. Da! Heard it Records astonishes, thus confirming its ambition for discovery and exploration, and promising beautiful surprises in the months to come.